Here's a look back at what MONEY said was in store for 2010 and how the year has actually shaped up. We said: Home prices would fall 5% to 10% before hitting bottom later in 2010. 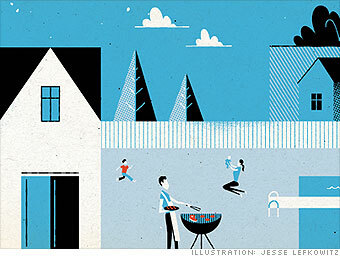 Mortgage rates, then 5.1% for a 30-year, would stay low. What happened: Prices held up much better than expected and will end the year almost flat. Mortgage rates went lower still.